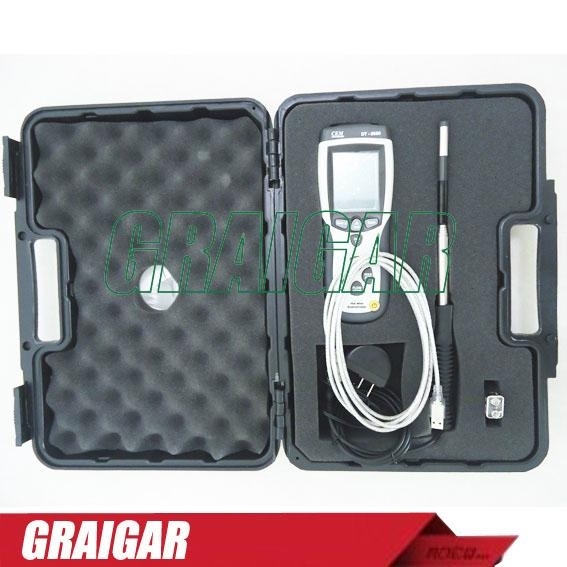 DT-8880 is high-quality device measures low air velocity with its slim probe, which makes your field jobs quick and easy. 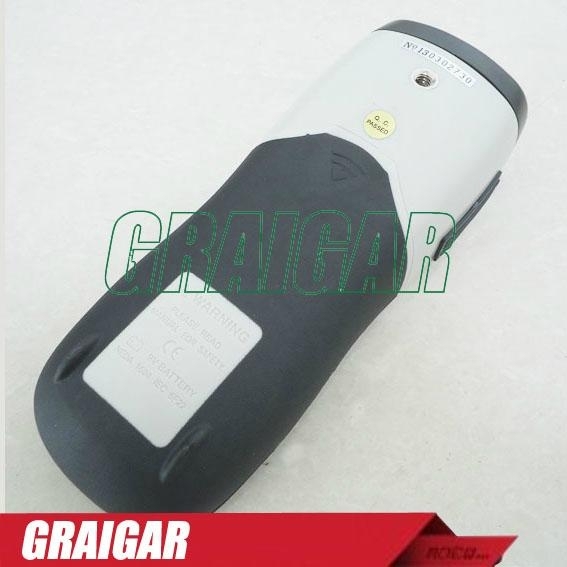 You can use this device for environmental testing, air balancing, etc. 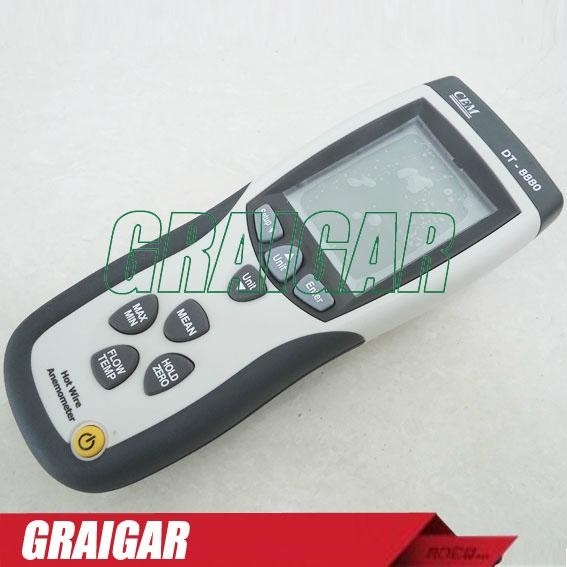 The DT-8880 measures the air velocity in m/s, km/hr, ft/min, MPH and Knots. 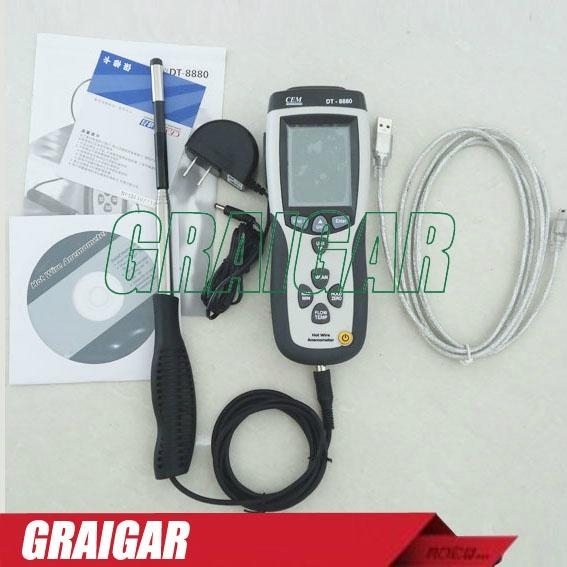 This meter also has a built in temperature probe that measures air temperature in deg C or F. The combination of hot wire and standard thermistor delivers rapid and precise measurements. This package includes the Windows software driver for Windows PC. Please note that the software is provided AS IS.. This device is compact and portable. It comes with a carrying case for added protection.